What to do if my child’s tooth comes off due to trauma caused by sports? Wash the tooth with water without touching the roots. If the child is older put it under their tongue or in a glass of milk or a parent can split the saliva in a cup and store the tooth in it. Faster you get to the dentist, better is the chance of survival of tooth. 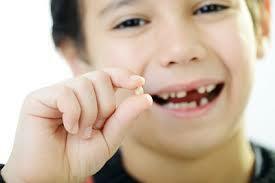 But if the permanent tooth is knocked out, a dentist can re-implant the tooth accordingly. What to do if my child is suffering from pain in their mouth? It may be due to teething syndrome – if the child is suffering from pain give him/her the pain relief medicine. If the child is suffering from acute pain from dental decay during the night, then give them paracetamol or apply clove oil to the required area. What if my child has an object caught in their teeth? Tell them to gargle, brush, floss their teeth and if the object doesn’t come out after doing so – then proceed to a dentist immediately. Then the dentist can remove the object without causing any kind of trauma to the child’s gums. Don’t try to use any instruments present in the home and to remove the object. What to do if my child has ulcers and is causing pain in their mouth? Don’t feed the child acidic, spicy or abrasive food, such as potato chips, lemons, salted nuts since these can aggravate the ulcers. Offer the child with salt water for rinsing. For oral ulcers, topical gels can be used. Apply the oral gel on child’s ulcer after their meals and before they go bad. This relieves the pain and helps the child to eat normally. 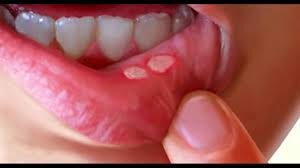 Ulcers causing the pain in the child’s mouth may be due to the viral infection. And eventually, this can lead to high fever. So, in this case, it is better to take the child to a physician. Simple precautions can avoid accident and injury to the teeth. Make your child wear a mouth guard(helmet when appropriate) when participating in sports or recreational activities. Visit the pediatric dentist in every 6 months to make sure your child’s teeth are healthy and strong. Block stairways, dangerous areas from young children. Always take care of young children and do not let them run with objects in their mouth. To cut the things instruct him to use scissors not teeth. Always remember to follow correct precautions for dental emergencies in children.